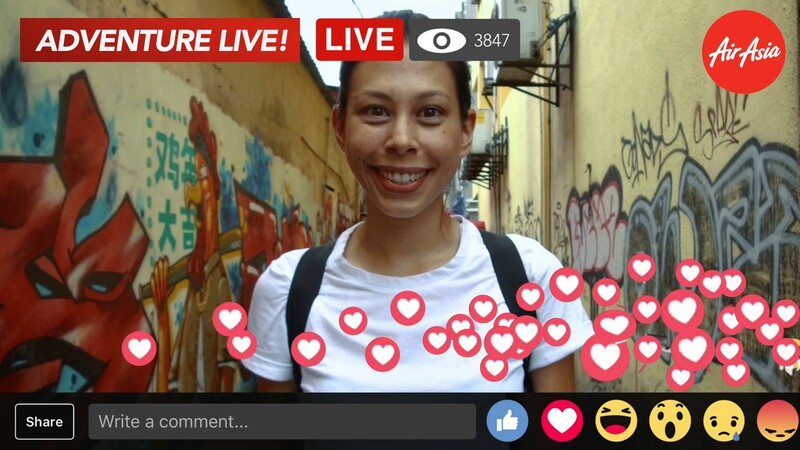 SEPANG, 14 June 2017 - Over 10 million AirAsia Facebook fans will soon enjoy a live interactive travelseries, dubbed ‘Adventure Live’, that will be broadcasted directly from six destinations in Southeast Asiavia Facebook Live. 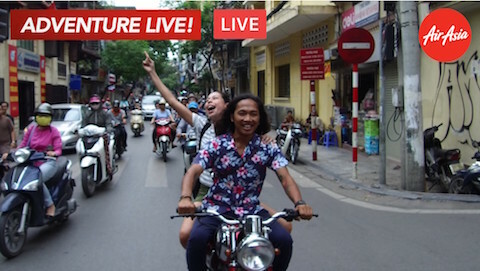 The series is part of AirAsia’s ‘Live Life Unexpected’ Campaign in support of the yearlongVisit Asean@50 initiative to encourage travellers to explore the unique Asean experience. Adventure Live’ will be live-streamed every Friday at 5pm (GMT+8) starting 16 June 2017. Watch the teaser. (2nd episode: Cebu, 23 June) Be a part of Natalie's adventure as she explores the shores of the island to meet new people, try new food and find magic! Stay till the end for a chance to win 50,000 AirAsia BIG Points!